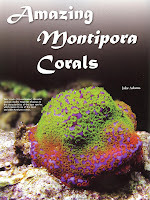 Bob Fenner, author of "The Conscientious Marine Aquarist", returned to the Marine Aquarist Roundtable of Sacramento, (MARS), to speak on "The Pros and Cons of Hitchhikers in the Reef Aquarium", Friday, October 16th, 2009. With the influx of pizza and beer, Mr. Fenner provided his entertaining and intellectual knowledge on the subject. Photographed with Mr. Fenner (R) is MARS Vice President Kevin Cowan. 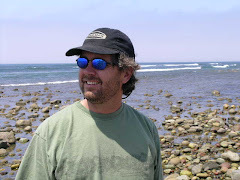 Bob has "lived" the science, hobby and business of aquatics in the Philippines, Japan and United States. All phases; collector, wholesale, jobber, retail, design, construction and maintenance. All levels; manager, owner, hatchery worker, retail clerk, and technician. Except for a stint teaching high school sciences for four years, he has worked all his life in the field of ornamental aquatics. Academic experience includes eleven years of college, a couple of life science degrees and a teaching credential for chemistry, physics and biology. 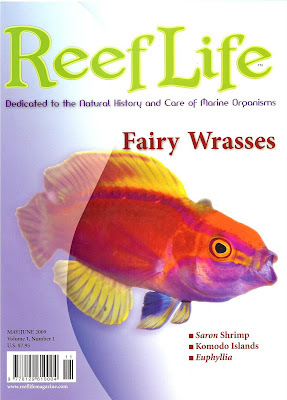 Published works include several studies on aquatic biological and chemical questions, and an extensive publishing and photographic background in the industry and hobby of aquatics. Have taught High School sciences and Marine Sciences and Aquariology courses at the State University, University of California levels. Bob has been an avid aquatic hobbyist since day one and is active in hobbyist and scientific organizations. He has served on numerous Boards, judged shows and given many programs. Helped form and run (President) of the employee-owned corporation, Nature Etc., Inc. in San Diego, started in 1973; a turn-key operation in the field of ornamental aquatics, designing and building ponds, lakes, fountains and waterfalls (Aquatic Environments), designing, installing custom aquarium systems and maintenance (Aquatic Life Services), and operating retail outlets (Wet Pets).... currently does consulting, content provision to the trade, sciences and hobby of aquaristics. 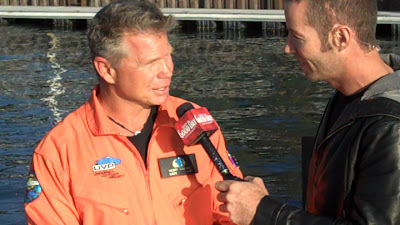 One of Bob's current endeavors is providing advice to hobbyiests and professionals on his website, wetwebmedia.com. Here is Bob's Power-Point presentaion in text format: The Pros & Cons of Hitchhikers in the Reef Aquarium, part 1, part 2, part 3, part 4. FRAG SWAPPING starts at 11:30 a.m.
To participate in swapping you must bring in 3 *qualifying frags. $12.00 in ADVANCE: includes entrance, meal and frag picking wrist band. $7.00 guests: includes entrance and meal only. Children 12 and under: FREE with paid adult admission: includes entrance and meal only. Children 12 and under swapping pay full price: includes entrance, meal and frag picking wrist band. 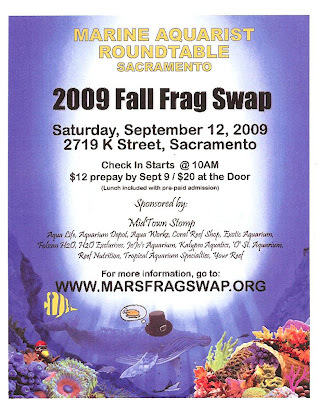 Please go to the MARS club website to learn more about the frag swap. 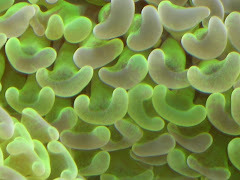 The propagation and aquaculture of corals is extremely important to the reef aquarium hobby and frag swaps such as this helps hobbyists receive and reproduce corals at a very fair cost. Not only does this help to preserve and limit what is harvested from natural reefs, but it also helps to create a more consumer friendly market. Propagating and aquaculturing corals is not only easy, but fun. Using a dremel tool, clipping shears, razor blade or a snap with your hands,fragging corals is a simple process. With the use of super glue, fishing line or bridal veil material, attaching a fragment of a coral to a piece of live rock rubble or mounting disk is a cinch. I currently have a few customers that have corals growing so rapidly that I need to cut them up a number of times a year. I pass on these frags to other clients or hobbyists at no charge. I encourage all hobbyists to attend at least one frag swap a year to help prolong the life of our natural resources and to learn from more experienced collectors. 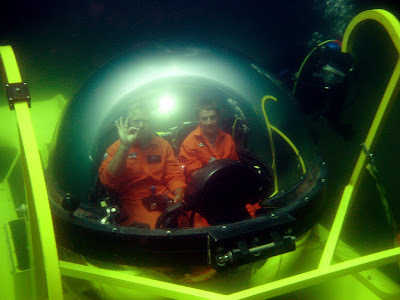 I had the opportunity to listen to Scott Cassel of the Undersea Voyager Project (UVP) talk about his 16 member teams plan to study the depths of Lake Tahoe during the month of May last night at the Tahoe Center for Environmental Sciences on the Sierra Nevada College campus in Incline Village, NV. His talk mainly consisted about his studies of the Giant Humboldt Squid that now occupies the waters from Alaska to South America devastating many consumable fishes including the Salmon population of Northern California. This would have been a fantastic talk for the members of my reef club MARS in Sacramento to hear. 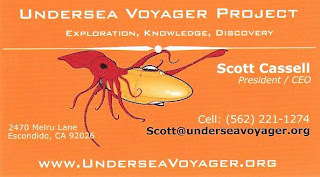 The Undersea Voyager Project's mission statement is a non-profit organization established to circumnavigate and study the Earth's oceans (27,000 miles) at depths of 100–1,000 feet utilizing human piloted submersibles. The Project will advance and communicate scientific understanding of the oceans, their interrelationship with climate, and human impact on the marine environment to a global audience. 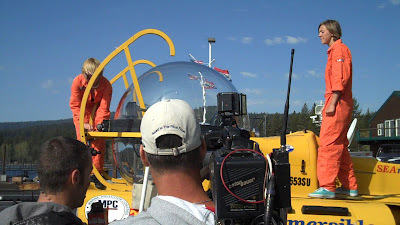 Their project in Lake Tahoe and Fallen Leaf Lake will include studying ancient rooted trees at depths of over 150 feet, they will transect Lake Tahoe, evaluate three tsunami-producing fault lines underneath the lake, study animal and plant life, explore historic shipwrecks and perform water quality evaluation. 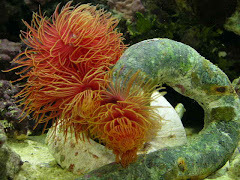 They will also study algae growth and the introduction of invasive bivalves. UVP will use specialized UV lights on the submersible to 'fluoresce' the algae for effective locating and mapping of their presence. 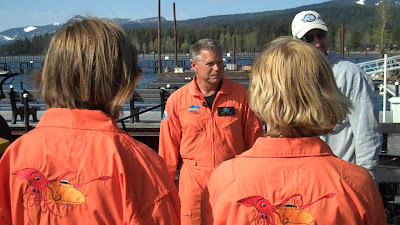 From the UVP website, "Our mission is to learn more about Lake Tahoe's health, so its beauty can be preserved for future generations," said UVP captain and CEO, Scott Cassell. 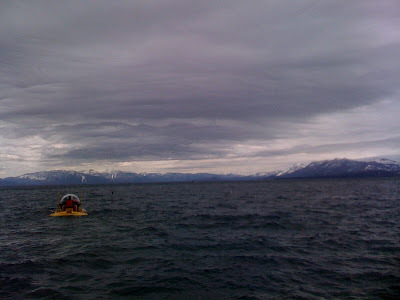 "If we can't save Lake Tahoe, how can we save the world's oceans?" 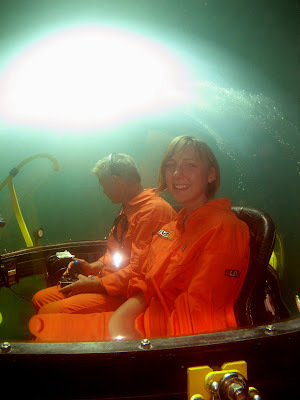 What's really cool about this project for myself and daughter is that we have volunteered our diving knowledge of the lake and will assist two or three dives a week working with the crew. My daughter Madison, Sierra Saltwater Systems secretary, has applied to be a Student Ambassador for the project working with the UVP's public relations officer, Google Ocean and creating a Powerpoint presentation to report back to student classrooms. 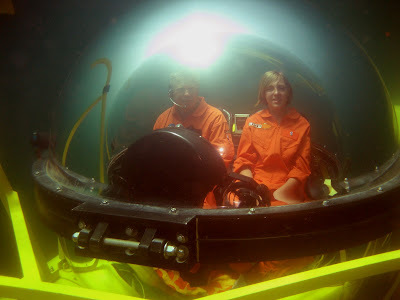 She would actually get go in the submersible! While at the MAX show a couple of weeks ago I got the chance to spend a little time with Jake Adams of Reef Builders at the Zoanuts Scolymia coral display. The Scolymia Button Coral is a large polyp stony (LPS) coral and also referred to as the Doughnut Coral. 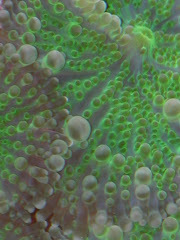 It is a somewhat round, solitary coral, usually having a single oral opening present in the center, however, numerous openings have been present in some species. It is not an outwardly aggressive coral, but should be provided with plenty of space between itself and other corals because it can expand twice its size during the day. 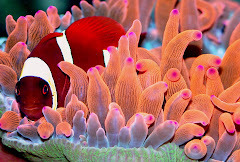 The Scolymia Button Coral is easy to maintain in the reef aquarium. It makes an excellent choice for both the beginner and advanced reef aquarist. 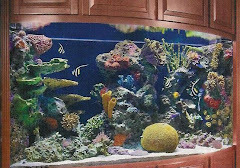 It requires moderate lighting combined with moderate water movement within the reef aquarium. For continued good health, it will also require the addition of calcium, strontium, and other trace elements to the water. 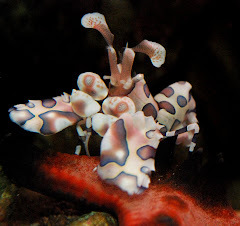 Its feeding tentacles appear during the evening and while exposed, will feed on meaty foods such as micro-plankton or brine shrimp. Well, that's the overview of the specie. 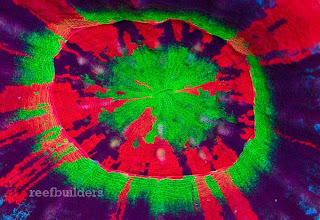 But what Zoanuts had on hand at their display was one of the most beautiful and sought after corals of the show, the Spirograph Scolymia. While it was only on display, today was the conclusion of its auction with Aquatic Auction. From the Aquatic Auction description; Spirograph Scolymia aka "The Holy Grail". This Scolymia by far cannot be graded with the current system that we have in place. You just thought the Bleeding Apples were hot...put your eyes around this. Many viewers got a sneak peak at the MAX event in Costa Mesa a few weeks back. Out of the many thousands of Scolymia australis we have viewed only one other that was this quality in coloration. So Bid and Win!! This Ungradable Scolymia measures approximately 3.25 inches by 3 inches when fully inflated! Now a bit about photography. Although I have a BA degree in photography, my image above doesn't do this spectacular coral justice. The photo was taken on the last day of the three day Expo so the water had started to cloud. And although I believe I have pretty good Nikon digital camera equipment, I had to include a copy of Jake's image from his Reef Builders website in comparison. I did absolutely no image enhancing to my photo and Jake states the same on his website. 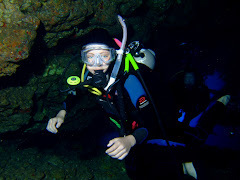 The difference between my photo and Jake's is that he uses an underwater camera bag for his digital photography allowing him to get closer to his images and omit any reflections from the high intensity lighting. Although I have an underwater camera housing for a Canon digital point and shoot, I rarely use it in an aquarium. Guess I have some image taking to do. And the Spirograph.....currently going for $1,195 with an hour left in the auction. Quick! Any of my clients want it? With my standard mark up, the piece will be guaranteed for thirty days. EDIT: Final sell price was $1,205, retail value was listed at $1,399. Remember, Click on any image on my website to see in its original size. 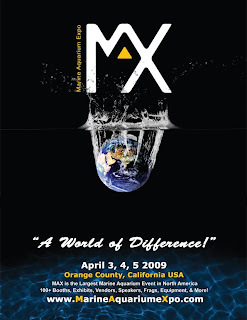 With less than three weeks away, I am really looking forward to attending the Marine Aquarium Expo at the Orange County Fairgrounds, April 3-5. I attended the Expo last year and thoroughly enjoyed the weekend. With over 100 vendor booths in a 30,000 square foot showroom that includes retailers, coral farmers and manufacturers, there is something for everyone that attends. This year I am looking forward to seeing many of my Southern Californian suppliers and friends. Including Randy, Gresham and Jake with Reef Nutrition (Northern California), Leng from Eco Systems, Trevor with Bayside Aquarium Supply (Marine Depot) and Chris with RK2. I am also looking forward to hearing Bob Fenner, Marc Levenson, Eric Borneman, Tulio Dell Aquila, Joe Yaiullo and Adam Blundell's intriguing talks. I am also looking forward to getting a couple of dives in at Hiesler Park in Laguna Beach.